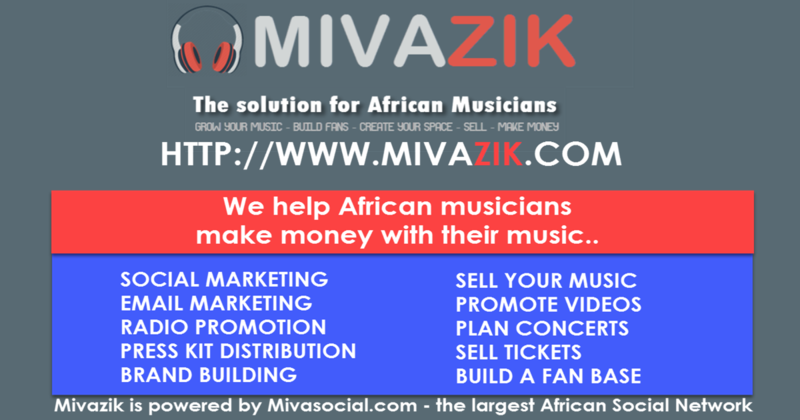 MivaZik socially promotes your music to thousands of Africans on MivaSocial, the largest African social network . MivaZik showcases your banners, your photos, your music, your concerts and videos on the African network and also on other social networks. Pay only whenever someone clicks your ad. MivaZik uses the social power of MivaSocial to share your music and your promotions by e-mail to its subscribers. This kind of promotion is very profitable as it helps you target directly thousands of Africans by e-mail. Start today for the cost of $20 per 1000 emails.